Workshops take place on Saturday October 6, 1:00 – 2:00 pm. Afterwards, please join us for an open jam in Anderson Amphitheatre led by the workshop leaders. 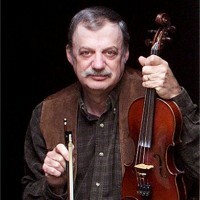 Join multi-instrumentalist Roger Howell as he teaches fiddle tunes and styles unique to Madison County and the region. All tunes will be played in standard tuning. Join all three workshop instructors after the lesson for an open jam. Students should be at an intermediate to advanced level. Class size is limited, so please make sure to register early. About Roger Howell: Roger Howell has always lived in Madison County, and for the past half-century has resided on Banjo Branch. It was on Banjo Branch, in early childhood, that he first grew to love the music of his native county. Roger has won a great many awards, including first place in fiddle on multiple occasions at such festivals as Fiddlers Grove, the Mountain Dance and Folk Festival, and the North Carolina Mountain State Fair. His playing was also heard by moviegoers worldwide when he played fiddle for Iris Dement’s rendition of “Pretty Saro” in the feature film Songcatcher. Roger has recorded over 600 tunes from memory for his Memory Collection of fiddle tunes for Mars Hill University’s Southern Appalachian Archives. In 2015, he received the prestigious Brown-Hudson Folklore Award from the North Carolina Folklore Society for his work preserving and celebrating regional music traditions. He is the subject of the 2015 film A Mighty Fine Memory. Learn more about Roger. In this workshop you will explore the three-finger banjo style of the famed Madison County musician Obray Ramsey. As a special treat, Troy will bring Ramsey’s banjo with him to the workshop! Students should be at an intermediate to advanced level and should bring a banjo and tuner. Fingerpicks are optional. Join all three workshop instructors after the lesson for an open jam. Class size is limited, so please make sure to register early. 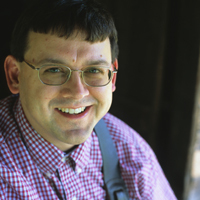 About Troy Harrison: Troy Harrison is a native of Madison County, and he believes that one of his aunts was the source for Bascom Lamar Lunsford’s chosen version of “Little Margaret.” Troy studied with Madison County legend Obray Ramsey. From him, he learned a three-finger style that he describes as “a cross between bluegrass and old-time.” Troy is a member of Rhiannon and the Relics, who are longtime performers at the Lunsford Festival and who will be providing the music for this year’s dance. Learn more about Troy. 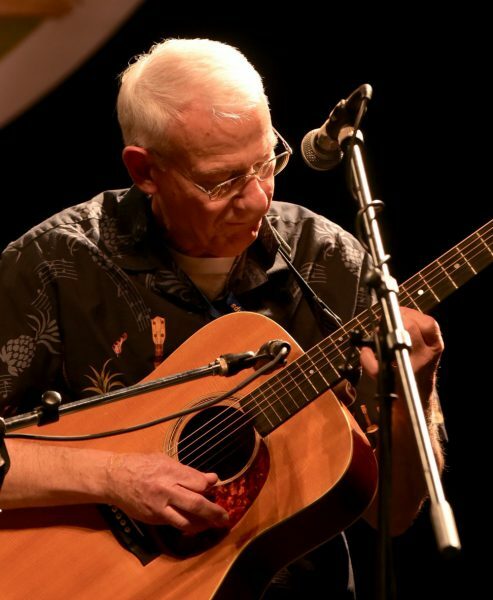 Join musician Jerry Sutton in a workshop that will touch upon right and left hand techniques, the importance of rhythm, picks, strings, a few fiddle tunes, and songs. Join all three workshop instructors after the lesson for an open jam. Students should be at least very advanced beginners and should bring a capo and tuner with them. A means of recording the workshop is optional. Class size is limited, so please make sure to register early. About Jerry Sutton: Widely respected as a musician, Jerry Sutton is in the middle generation of a multigenerational family of musicians. He is the son of the late fiddler Grover Sutton, and the father of Leesa Sutton Brandon and Grammy Award-winning guitarist Bryan Sutton. Among the many awards he has won are first place in guitar at the North Carolina Mountain State Fair and second place in guitar at the Mountain Dance and Folk Festival. Learn more about Jerry.